Do your donors get their gifts to your organisation matched by their employer? Thousands of employers worldwide match the charitable giving of their employers. In Asia-Pacific, many charities have not yet fully developed a matching gift program. Let’s get a movement started! What are matching gifts? Employers match charitable giving of employees, retirees, and, often, their spouses. The match is often 1:1 or 2:1. Sometimes there is a minimum the employer will match and often times there is a maximum the employer will match as well. Matching gifts double or triple a gift to your charitable organisation. It is common for an employee to not be aware that their employer matches chartable gifts. If they are aware, donors often times need to be reminded to seek the match from their employee’s human resources or benefits office. 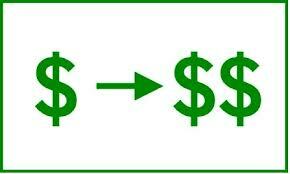 Not prompting the donor often times means you and the donor are leaving money on the table. Remind donors about matching gifts in appeal letters and in receipt/acknowledgement letters, as well as on your organisation’s Website. Why do employers match the giving of their staff? Employers match their employee’s giving to demonstrate a commitment to their employees and to support the charities their employees care most about. The employee has already vetted the non-profit organisation, suggesting a trust in the organisation by making their individual gift. The employee, in a sense, has done the heavy lifting for the company. Matching gifts are major income for many hospitals, universities, museums, and charities in the United States. Those same companies matching gifts stateside are doing business in Asia Pacific and will likely match the giving of their employees in our part of the world. Matching gift programs require a bit of development and once underway are a means to bring in healthy income into your organisation. Does your organisation receive matching gifts from the employers of your donors? Tell us how you have achieved good results. Crediting the historical appeal the donor is responding to or crediting the appeal that is currently active? 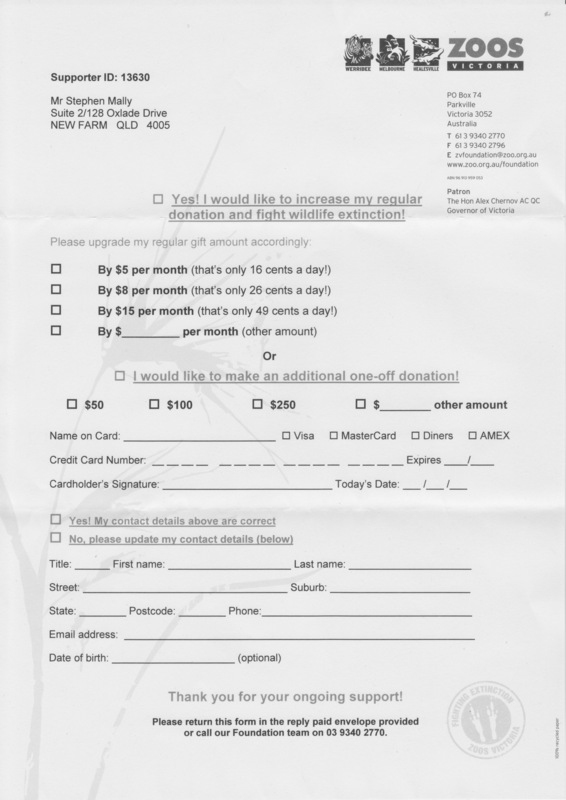 Scenario – a donor sends a gift using a coupon from the 2010 Christmas Appeal. This same donor surely received the 2014 Tax Appeal in May 2014. Should your organisation credit the 2010 Christmas Appeal or the 2014 Tax Appeal? Organisations differ when faced with this question. Some staffs argue the donor meant to respond to the 2014 Tax Appeal and the donor is simply using an old response device. Others argue that the 2010 Christmas Appeal should receive the credit despite the donor having received the 2014 Tax Appeal. I believe the appeal the donor is responding to should get the credit even if the appeal is no longer active in your CRM and even though the donor has responded to a historical appeal. To assume the donor meant to respond to the 2014 Tax Appeal is trying to second guess the donor’s intent when, in fact, the donor intended to respond to the 2010 Christmas Appeal using the particular coupon and the donor, in fact, took that very action. Second, you do not know the donor received the 2014 Tax Appeal. Perhaps the appeal is lost on its way to the donor or was never received by the donor at all. However, you do know the donor received the 2010 Christmas Appeal because this is the response device used to make the gift. Staff cannot get in the minds of the donor and cannot pretend to be the donor’s mind. Why do staffs try to act on behalf of the donor? Why is this debate held at many organisations in the first place? Staff are usually concerned about results for the open or current appeal and do not care about results from appeals in the past. Given turnover in organisations, current staff may not have been employed by the organisation when the historical appeals were active. Nonetheless, it skews results to not credit the appeal the donor responded to no matter how old the response device may be. Putting the donor’s intent first is always the best practice. I moved in April of this year. It is now nearly August. I am surprised not a single non-profit organisation – school, university, cultural, environmental, health, medical research, or other type of organisation, has found where I now live. If it were not for Australia Post’s mail redirection service, I would have lost contact with every organisation I support. Millions of Australians move each year. Few, only on rare occasions, take the time to tell the charities they support of their move. Charities are the last to learn someone has moved. Most individuals will not inform the charity through a proactive channel – a call, email or some other communication. So, where does this leave the charity? In the dark unless the charity actively searches for constituents who have moved and seeks new contact details. When I signed up for the Australia Post mail redirection service prior to the move, I was given the option to opt in, to allow, or opt out, to not allow, Australia Post to pass along my new address to for profit and non-profit organisations (including charities I support). This works only if I opted in and if those charitable organisations seek the new details. The important point here – if a charity does not ask for the information from a supplier in the marketplace, the charity does not receive the information. After three months, none of the more than 180 charities I support seem to have engaged with a supplier to seek new contact details for any constituent who has moved over the last quarter. How do I know this to be true? Every piece that has reached me at my new address has arrived due to the Australia Post Mail redirection service and not directly with my new details. When was the last time our organisation performed a data cleanse? One year ago? Never? Best practice suggests data cleansing should be performed on your data set at least one time per year. 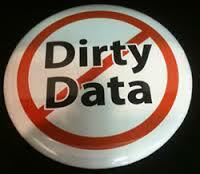 If our organisation has done a data cleanse prior, what was the process? What exactly did our organisation acquire in the data cleansing process? Who was the internal champion/lead and what supplier(s) did we use? What was our biggest challenge when we did the data hygiene process? Importing the data into our CRM? Some other obstacle we need to overcome? Most organisations faced one or more pain points and this has caused the staff of the organisation to be shy (or prefer to have a root canal) over doing another data hygiene process. For others, the fear of the unknown overpowers good decisions. The cost to acquire a new donor is high. Why risk losing the donor simply because the donor has moved and not informed the charity through direct means of the move. Donors and prospects who once heard from your organisation and no longer receive communications, solicitations, or donor care pieces will think you no longer are interested in a relationship. In fact, you are interested it is simply you do not know their contact details. What happens in an address hygiene process? Your addresses are structure to meet Australia Post standards, i.e. apartment numbers are placed in the proper position and street, avenue, Lane and others are abbreviated, etc. A Delivery Point Identifier (DPID) number is assigned (a unique identifier assigned to each of our households). The data will be matched with the Australia Post Postal Address File (PAF) and other consumer files to return not only new addresses, but enhanced data. 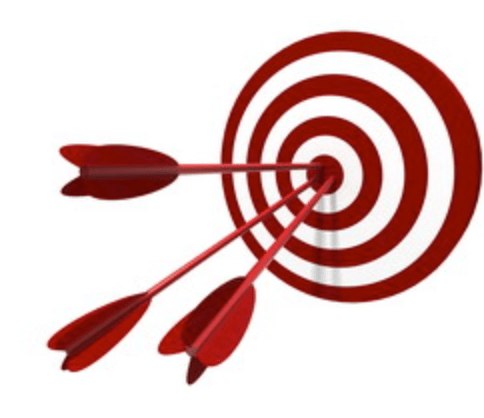 Think about the return on investment in data cleansing. There will be some upfront costs for supplier(s) and data acquired. Nonetheless, those upfront costs will be minor compared to monies saved and donations received. The investment will pay multiple dividends. Where do you begin? Find a supplier in the market who has the expertise to take you through the entire process and who understands the data you should acquire. FundraisingForce is one such supplier working with data hygiene partners with years of experience in this space. Together, we will assist your organisation to achieve better results and reach constituents who have moved like millions of others this year. Your spring appeal and Christmas appeal are just around the corner. Take the time now to invest in the file, to cleanse it, and to prepare for the best appeal season possible. Charities behind the 8 ball with QR Codes? Or, are QR Codes something to ignore? Charities use of QR codes appear to be either late to the game or, perhaps, charities are approaching the game a bit cautiously. I am not sure. Let me tell you what has caused me to as the question. When on a recent business trip to New Zealand, I was faced with QR codes repeatedly. QR codes are literally everywhere – at the Auckland airport, on political signage, on tourist brochures, in tourism ads in magazines, and on billboards. New Zealand has awakened to the use of QR codes! Yet, I have asked myself whether charity usage of QR codes is non-existent? I was on the hunt for them on charity content and I could not seem to find an example where charities are using QR codes, including in organisational materials, on fundraising brochures, on appeals to get bikers to do a multi-day bike ride, and the like. 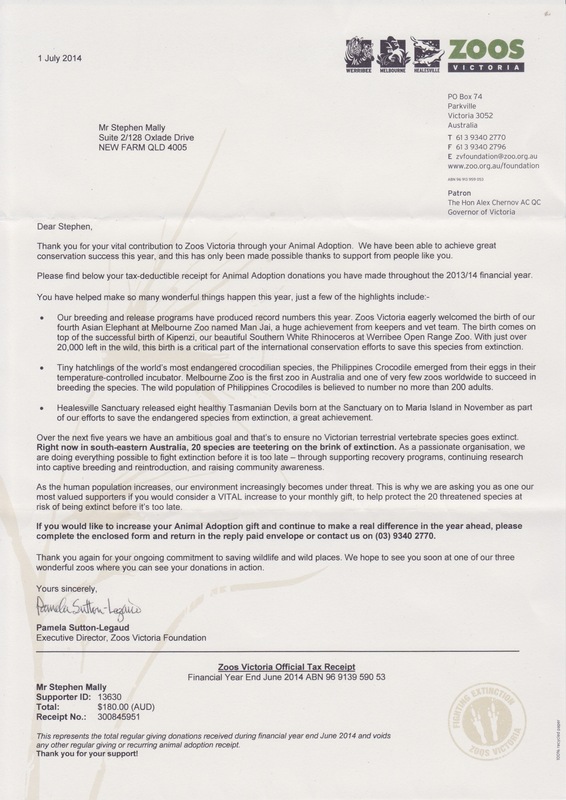 I have come up empty handed searching the charity material in New Zealand and Australia. QR code (Quick Response Code) is a two dimensional barcode that has storage capacity behind the code, which allows organisations to create marketing campaigns to take the reader elsewhere (think donation form, video, website, and beyond). All it takes is a smart phone (camera-enabled device) for the donor or prospective donor to read the QR code and you can immediately drive the reader to some sort of call to action. I recently received a piece of mail from Bobby Goldsmith Foundation commemorating the 30th anniversary of the passing of Bobby Goldsmith. The piece was a tribute to Bobby and all his life meant and the 30 years of work BGF has done to fight HIV/AIDS and to care for those with HIV. A brochure was enclosed and featured a QR Code. When one scans the QR Code, a video launches to educate the reader more about BGF. With over 8.8 million Australians estimated to carry a smart phone, unless charities create QR codes and drive the reader to associated content, the charities are leaving the reader to respond using other devices – phone, email, Website or…mail! Is your non-profit organisation using QR codes? How do you use them and are your constituents finding value in their use? 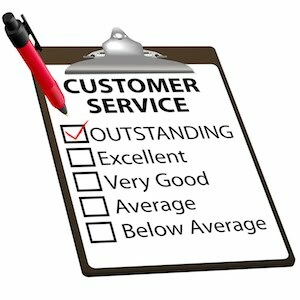 Often times I will give scenarios for the same type of organisation to make the customer comfortable and I also liken their situation to that of another type of organisation from another part of our sector. Why? Frankly, all types of organisations across the sector have more in common than we have differences. Our sector is filled with professional organisations and publications that divide us rather than bring us together. You likely belong to the one that identifies the closest with your type of organisation and you feel that organisation serves you well. Conferences we attend are divided into tracks not just by topical area, but typically by size of organisation and by which vertical we fit in by organisational type. I, too, fell into this trap. I became a consultant in our sector more than 6 years ago after being a fundraiser for more than 20 years. My background had been in healthcare fundraising. When I went to consult for the my first university in the US, I hesitated for a while because I was used to talking about grateful patients, acquisitions, capital campaigns for hospital wings, and the like. I quickly took notice that terminology is really all that separates us. Grateful patients for a hospital are alumni for a university or visitors or members for a museum. Other than the terminology, we really are pretty much the same and all are driven by a desire to do the best job we can do to raise the most money at the lowest cost possible. Why do we limit ourselves to comparing our organisations only to those that fit the mold of the same type and the same sized organisation? Instead, shouldn’t we be benchmarking our organisation against others outside of our part of the sector to push the boundaries, to grow, and to establish best practices of others in our sector? Some of the smallest organisations in our sector can offer advice to the largest of organisations. Some of the universities can offer best practices to healthcare organisations. Some of the religious organisations have a lot to offer cultural institutions. I encourage you to get out of your comfort zone and shake things up a bit. Think about joining a professional organisation that caters to organisations that are not of your same type. When you attend general fundraising conferences, attend sessions for organisations the opposite of yours. You will likely learn more and be able to offer more from/to those that are polar opposite of your organisation than you will likely learn/offer from/to another organisation that is exactly the same type and size as yours. Do you agree or disagree with me? Either way, let me hear your thoughts!